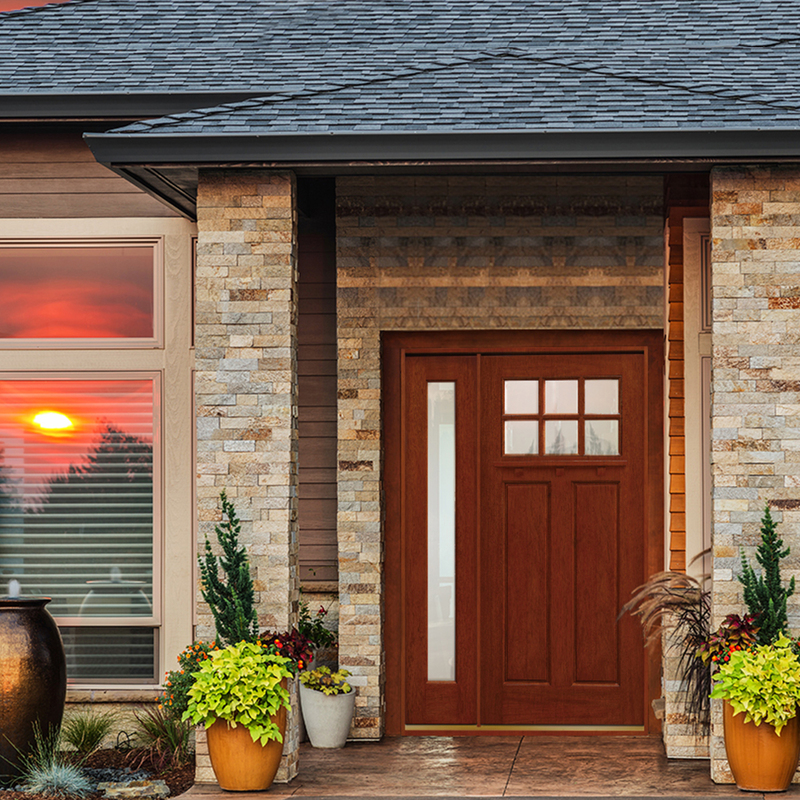 The Craftsman door selection from Main Door Corporation was designed to capture the timeless beauty and warmth of the American Craftsman architecture movement. With clean, simple lines, these entry doors are the perfect option for those who would like to add a touch of elegance to their homes. Like all of our doors, they are made from 100 percent real wood, with no veneers. In fact, our Craftsman Collection doors are made from solid mahogany, a rich wood species with striking natural wood grains that make each door unique. What’s more, most of the customization work on our Craftsman door products can be included at no additional cost. And, unlike most of our competitors, we even include standard features, such as interior and exterior moldings, at no extra charge – that’s luxury made affordable. If you’d like to learn more about our Craftsman door selection, contact Main Door Corporation today. Or, you can visit your local Home Depot to view samples of our beautiful product lines and get started designing your custom entry door.